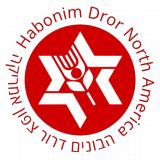 Habonim Dror Foundation was founded in 1994 to support the work of Habonim Dror North America, the Labor Zionist youth movement. We are movement graduates and friends who believe in the mission of Habonim Dror. For more information about the Habonim Dror Camp Association, visit the HDCA Facebook page. Kvutzot Am (קבוצות ע”מ) is the Network of Educators’ Kibbutzim of Habonim Dror Olim (תנועת קבוצות העולים המשימתיות מקרב בוגרי הבונים דרור). We are a passionate group of olim (immigrants) who have come to Israel in order to take responsibility for the State of Israel and the Jewish People. We are social activists who work in three spheres: Israeli Society, Diaspora Jewry and Habonim Dror. Na’amat USA, formerly Pioneer Women, is a sister movement to Na’amat in Israel. Na’amat is a vigorous advocate for progressive legislation advancing women’s rights, child welfare, and educational initiatives. Na’amat provides critical support to women, children, and families through Na’amat Israel, and has chapters around the country.